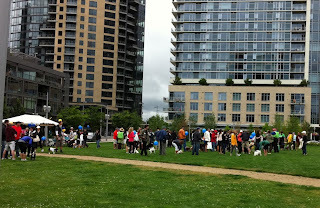 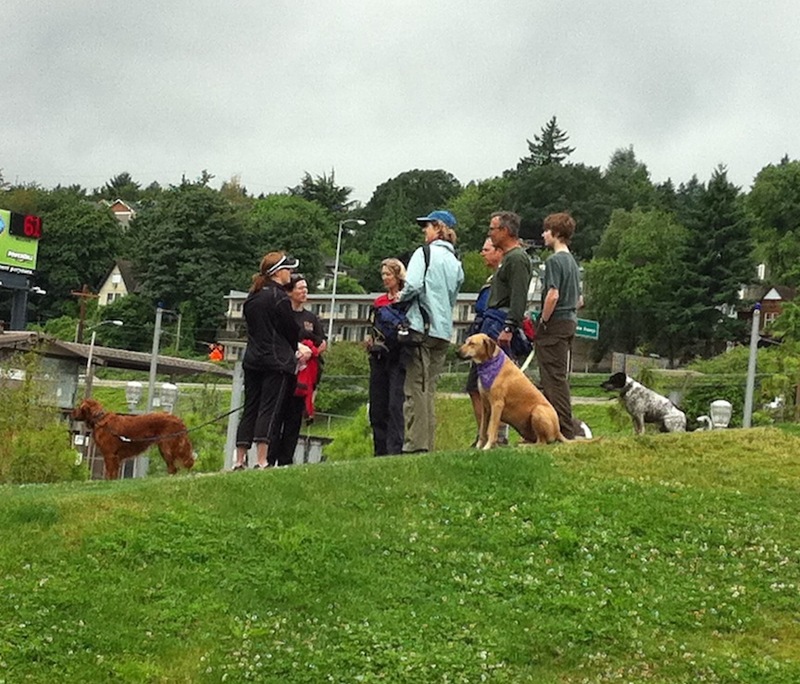 It was a great turnout this morning for the first Paws for a Cause event. 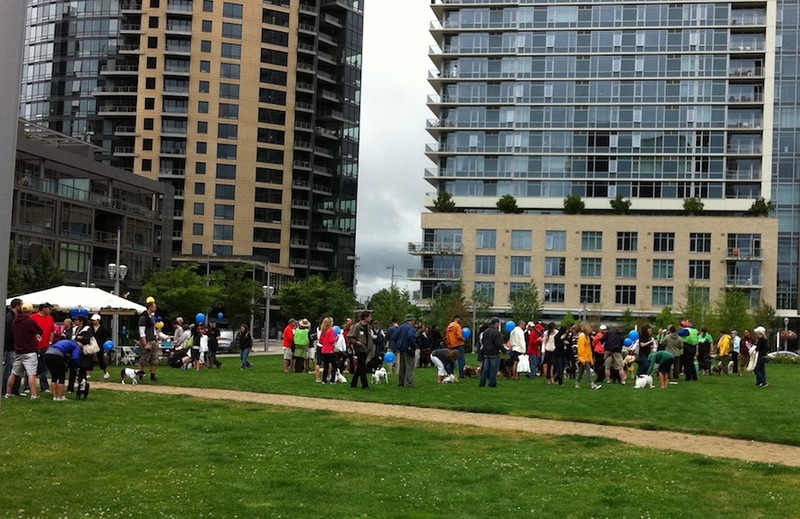 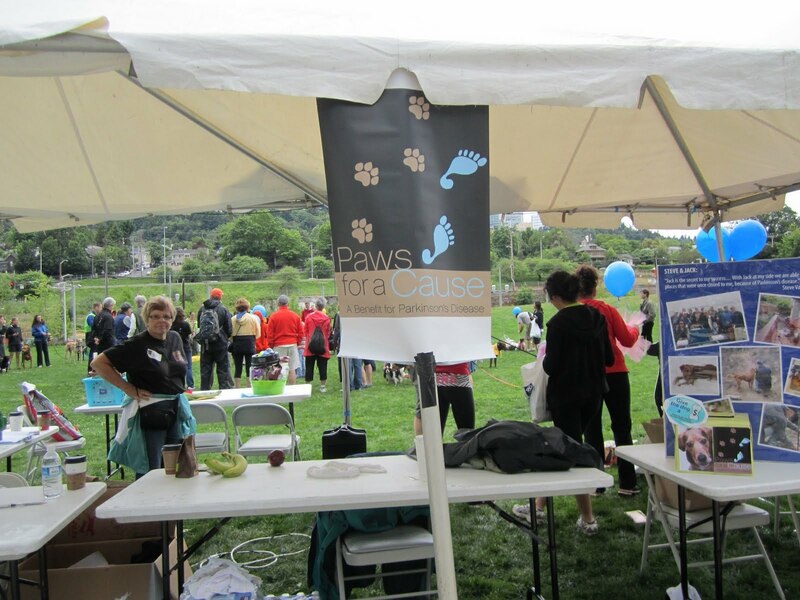 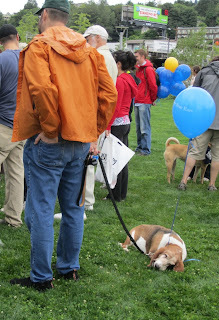 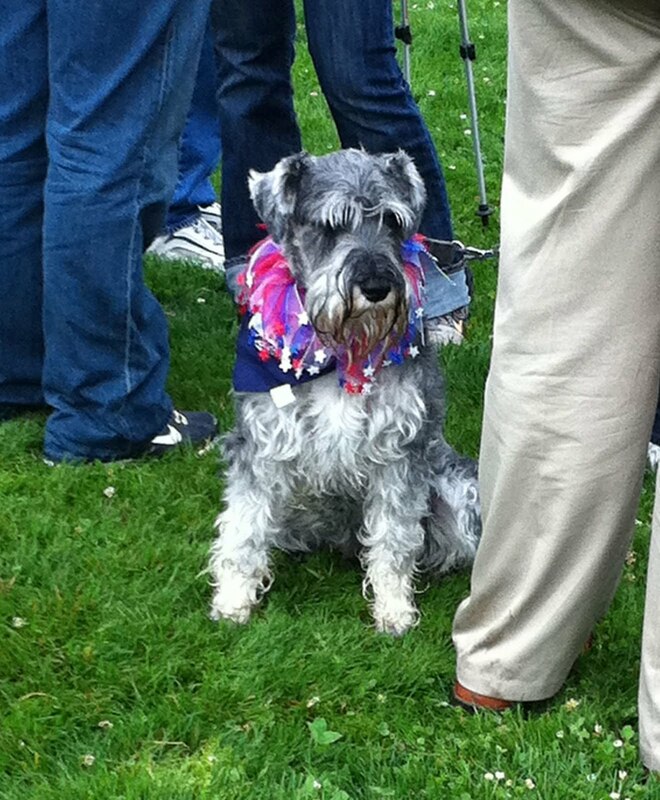 About 200 people and dogs assembled in Elizabeth Caruthers Park for the Paws for a Cause fundraiser for Parkinsons Center of Oregon. 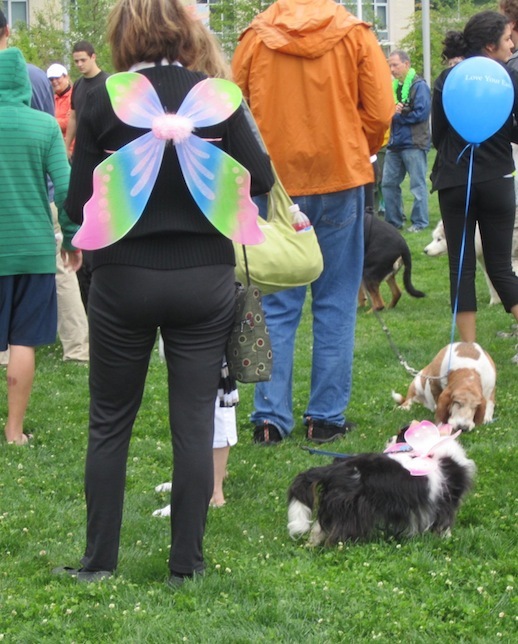 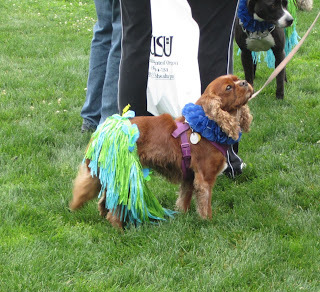 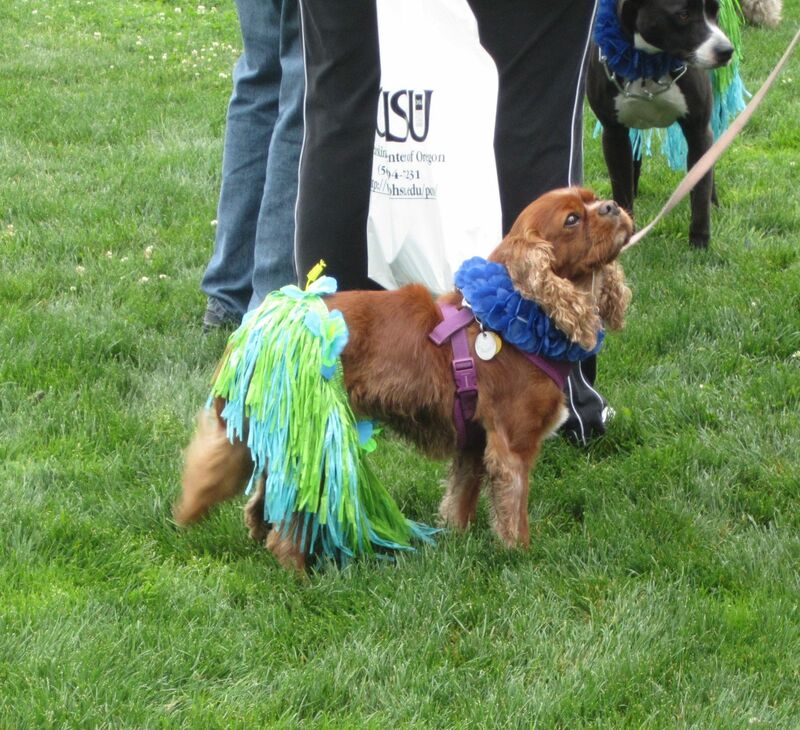 The event included a 1K and 4K walk, and concluded with a series of contests, including a doggie pie-eating contest and costume contest. 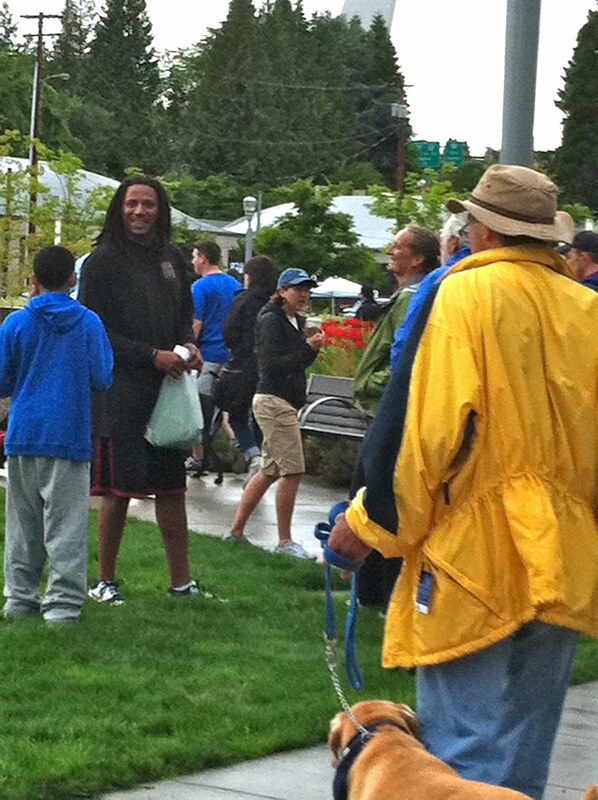 Ex-Trailblazer, Brian Grant, was here, showing support for the cause.